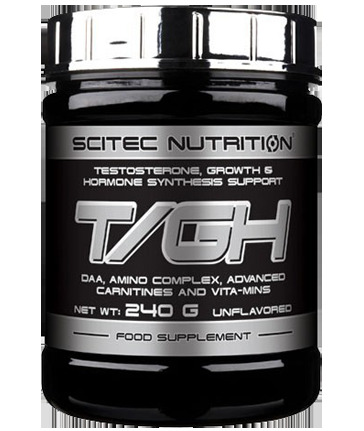 HGH Supplements are great natural ways to boost synthesis of human growth hormone. There have been many clinical trials over the years indicating that there are in fact effective ways to boost our levels of this hormone, which have important ramifications for healing time of soft tissues, such as tendons, ligaments and collagen. Growth hormone also aids in the healing of skeletal muscle tissue as well, which is a great thing if you’ve been pounding the weights. And when you think about it, the amount of stress placed on soft tissues, such as tendons, is quite high as well. It’s not just muscle that gets hammered in the process of lifting weights. After all, it is the tendons that attach muscle to bone. For instance, when we do a bicep curl and we pull our forearm toward us under a load, the biceps muscle is contracting and shortening. And the only reason the biceps can move our forearm toward us is because of the connection it has via the tendons. An article published in Medicine and Science in Sports and Exercise in 2008 indicated that oral gamma-aminobutyric acid (GABA) supplementation elevates resting and post-exercise growth hormone levels. This indicates that oral GABA ingestion may improve muscular adaptations to exercise. Interestingly, GABA may be best used before bed—preferably on an empty stomach—as it may also assist with natural deep sleep. GABA is the main neuro-inhibitory neurotransmitter found in the brain and is helpful for "unwinding" and reducing excessive mental "noise" or thinking. Research from decades ago pointed towards L-Arginine taken orally in combination with L-Lysine, which was shown to enhance natural growth hormone synthesis. Unsurprisingly, these two amino acids have been available on the sports supplement market for decades where they have been used by strength athletes, bodybuilders and aging men.